Standalone map modification for Euro Truck Simulator 2, containing a work-in-progress, 1:3 scaled representation of the Hungarian road system as it existed around circa 2002. 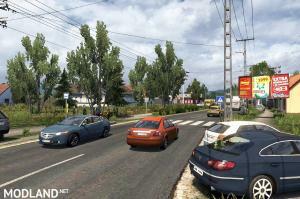 The map is "standalone", meaning that it is independent of the default Europe map: you have to create a new profile to play it, and load it as a separate module. It does not require any of the official map DLCs to work (Going East, Scandinavia). 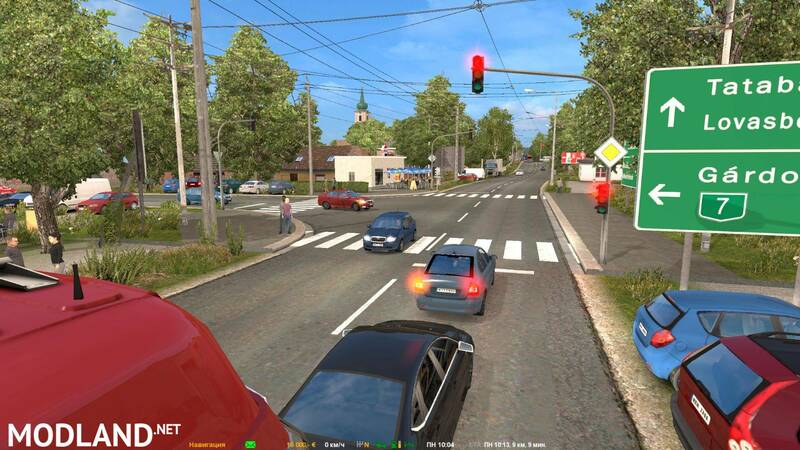 This version was tested with v1.27 of Euro Truck Simulator 2. Make sure to update the game to that version before installing the map! - No new cities have been added! 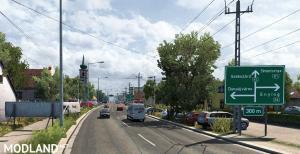 - Several updates in the models and road network on the older parts of the map. 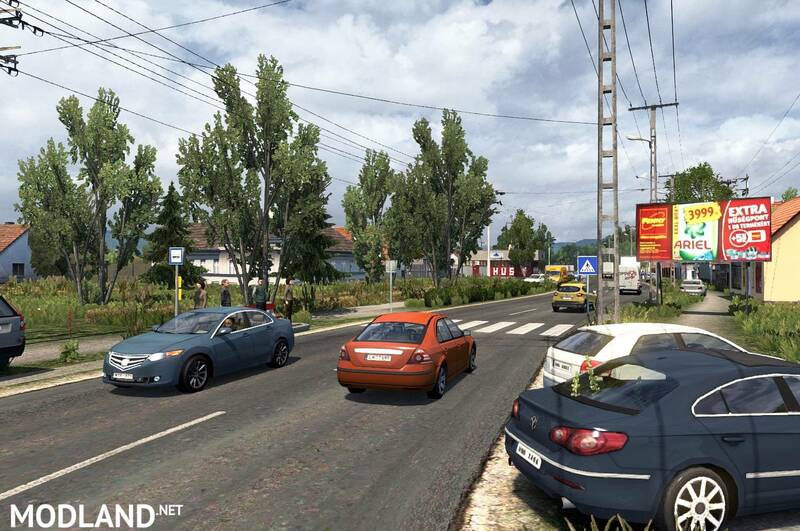 The older areas received new models, prefabs, and more variety of interesting road scenarios to discover. - Lots of map fixes. Hopefully you'll encounter much less invisible walls and other game-breaking bugs on the map. - Map is converted to work with v1.27 of Euro Truck Simulator 2. Bei mir geht es gar nicht hör auf immer Sachen hoch zuladen die nicht Funktioniren!!!!!!!!!!!!!!!!!!!!!!!!!!!!!!!!! Miért lép ki ? tudna valaki ere választ írni ?